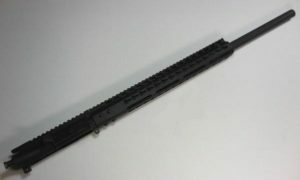 The Short 7.5″ 300 Blackout Pistol Upper can be used as a SBR or Pistol depending on your Situation. Starting with a Mil-Spec Upper Receiver and Military Grade upper Parts make for a High Quality close Quarters Firearm. 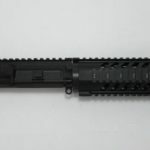 Barrel is Nitride Finished with a 1×8 Twist and end is Treaded 5/8″ x 24 Standard Pitch so if you want to swap out the original flash hider that comes on the upper it is easy to find a replacement you like. 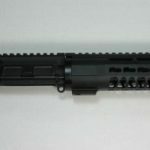 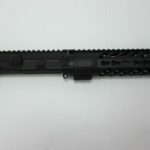 The AR-15 Platform 300 Blackout Pistol Upper comes with a 7″ four Rail Quad Rail for attaching any Picatinny Mounted Accessories on all 4 sides.